Running a tight ship when it comes to food production is much easier said than done. There are many ingredients, departments, and regulations to keep up with, which is why it’s imperative to have food manufacturing software – but not all food manufacturing software is equal. Let’s walk through seven ways Icicle stands out from the rest when it comes to enhancing your food manufacturing business. Running different systems in different departments is inefficient and leaves plenty of room for errors when it comes to transferring data. With the Icicle food manufacturing softwarepr, all your departments function within the same cloud software ecosystem, which leverages the daily activities and enables data to be shared between departments. Purchasing, sales orders, traceability, quality control, shipping and logistics, incident management, and occupational health and safety – all these facets of your business are interconnected so that when data is added or changed, Icicle automatically updates all relevant data in every other department. For example, when a new ingredient is created, the Quality Assurance Manager is notified so it can be analyzed for hazards and assigned a food safety plan, which will result in the automatic updates of other relevant food safety plans the next time they are generated. Just like departments working within Icicle, Icicle’s HACCP plans aren’t one-dimensional; they can communicate seamlessly. Let’s say your facility processes carrots and so needs to control E. coli. Icicle’s Smart Hazard Suggestions feature identifies the hazard based on intelligent algorithms and walks you through effective hazard controls. Any time you use those carrots in a new product, Icicle automatically carries along those food safety hazards and controls to any food safety plan containing the new product. And when you make changes to the set of hazard controls for one item, those changes are automatically propagated to all the other plans that contain that item. This creates a network of HACCP plans that draw from each other so that you don’t have to manually create various hazard controls, action steps, and action logs every time you define a new product. When you do create new products, we make it even easier to get started. Most software solutions require you to essentially copy and paste static data to create new products that are similar to others. This works, but it’s not efficient or dynamic. Icicle’s Product Inheritance feature allows you to group similar products and create new products within the group. The new products are assigned the same food safety plans, hazard controls, and other interdepartmental data. All you have to do is to add the unique ingredients. 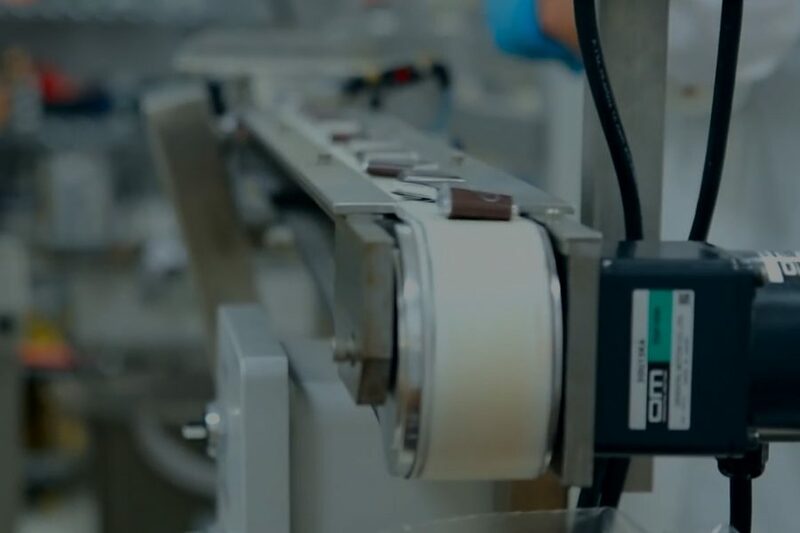 This saves you time by connecting the ingredient data to the product formula for you, especially if you have a series of products that have identical or have virtually identical process steps. Let’s say your facility performs some baking in-house and you’ve made a dough starter. Once that starter is ready, you make four different doughs from it. Out of those doughs, you manufacture twelve products. Drawing the lines between starters, doughs, and products, especially when there are several final products, can be very time-consuming. But you must keep track of those relationships and food manufacturing software can help make it easy. GSFI certification requires you to complete mass balance calculations accounting for every gram of recalled item within two hours, a deadline that’s typically very difficult to achieve if you don’t have a more robust ingredient-product management system in place. Icicle allows you to easily track where every yeast, starter, dough, and product goes. When necessary, you can pull up the flow of ingredients with the click of a few buttons. Regulators can then easily see all the details of which starter went to which products. And if you happen to be faced with a recall, you’ll know exactly which products need to be recalled and which don’t – no guessing required. Bringing in new ingredients for certified products can potentially result in hours or days of production downtime. If you could implement a system that enables certifications to be updated within minutes, incorporating new ingredients wouldn’t be a pain at all. Here’s how Icicle solves this headache. Say you have Kosher certification for your products. If you start using a new Kosher ingredient for a Kosher product, Icicle will automatically notify the certifying agency that a change is pending approval. The certifying agency can then approve the change remotely, enabling certificates to be updated and sent to your relevant customers. Procurement staff no longer have to obtain Kosher certificates from vendors or let the certification agency know that you need to have a new ingredient approved – it’s all handled virtually as soon as the new ingredient is entered into the system. Trust is developed. When the inspector or auditor knows you’ve opened a window into your food safety systems when you didn’t have to, they’ll look favorably on your business, which is certain to make future interactions more pleasant and productive. Documentation reviews can be accomplished off-site. Why have an auditor in the facility for five days when they only need to be there for three? Remote access allows auditors to complete the documentation portion of the audit from the location of their choice, away from your facility. A one-day warning is better than no warning. Auditors are not required to give you any warning about an upcoming audit, but when they can get started off-site, you’re given at least one day of warning to prepare employees and tidy up. There are over 500 different permissions you can grant, so you can customize those permissions to give limit access to specific data elements only. In the age of automation, no one should have to read a thermometer and write down the temperature on a clipboard. Icicle’s IoT sensor integrations allow you to automatically create logs and records for a variety of items, such as temperature, pH levels, chemical concentration, and humidity. These logs are dynamically connected to your food safety program. 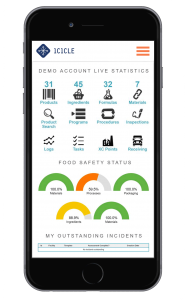 When something’s not as it should be, Icicle automatically alerts the food safety manager and recommends the necessary corrective actions to address the problem in a way that’ll make regulators happy. We’ve even partnered with Canada’s largest mobile network to deliver IoT solutions to the food industry. Icicle is built to deliver the best automation technology to businesses of all sizes, across industry verticals. But Icicle stands out on more than its advanced automation capabilities – it’s built to reflect the way your business works and bridge all the gaps in your facility or facilities with excellent food production management. Want to see how Icicle can revolutionize your food manufacturing operations? Request a demo of Icicle today and sign up for our monthly newsletter for the latest Icicle features and news.